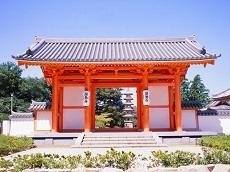 Kotohira is a small town in Kagawa Prefecture famous for Kompira-san, Shikoku's most popular shrine. Kompira-san is dedicated to seafaring and is said to be one of the most difficult shrines to reach in Japan thanks to the 1,368 steps involved to reach the top. Along the way, the steps will have markings to let you know just how far up you've made it before reaching Kompira-san. While it does sound exhausting to go up so many steps, the view from the top of Konpira-san is absolutely breathtaking. 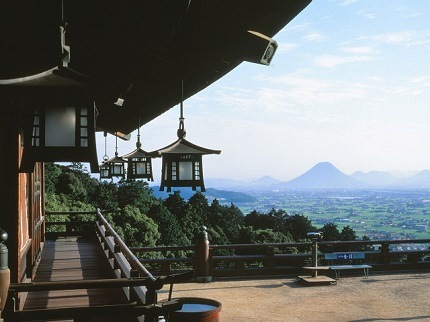 Enjoy a scenic view of Kagawa from the top before praying at the temple grounds. Before reaching the top of the shrine, there are multiple shops and small food vendors at the base of the hill. 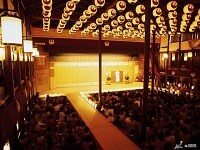 The historic Kanamaruza Kabuki Theater is also located close to the base of the shrine. 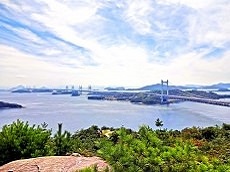 A visit to both is a must when stopping in Kagawa during a Japan tour.